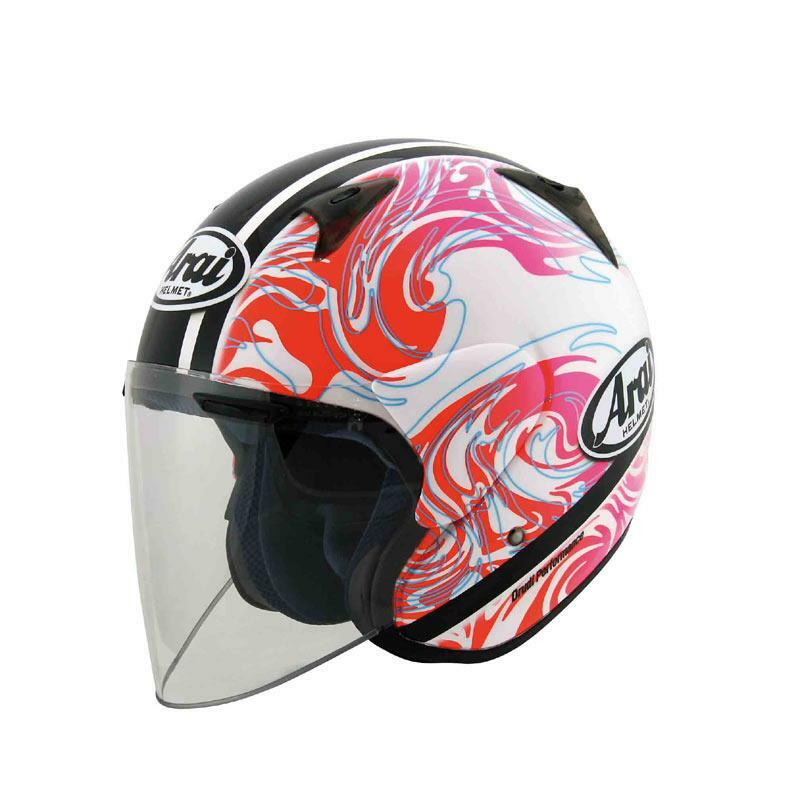 New to the UK from Arai is this funky SZ-F Lady Camo, designed specifically for women. The SZ-F features a CLC (Complex Laminate Construction) shell, triple density inner shell plus fully integrated venting, including Arai’s patented brow vents. Its removable cheek pads are available in six sizes and the interior itself is fully washable. Arai’s LRS (Lever Release System) ensures swift removal of the 2mm polycarbonate visor and the double D ring fastening system ensures correct strap tension. It’s available in sizes XS–XXL and costs £324.99. For more information, contact 01782-569800 or visit www.whyarai.co.uk.